What we refer to as a medium service website is a website that sells or promotes a service and has somewhere around 20 pages. We use this term to differentiate it from the small service website and, of course, from the single page website. Beyond the page count, a medium size website is more complex in structure and layout. It always has two tiers of navigation, since a single-tier navigation should never include more than seven items. Subpages run under the main pages, such as Services, Programs, or Case Studies. This helps organize the information in a logical and easy to locate structure. Who Needs a Medium Service Website? Small businesses who provide complex services or a suite or services most often need a medium service website. 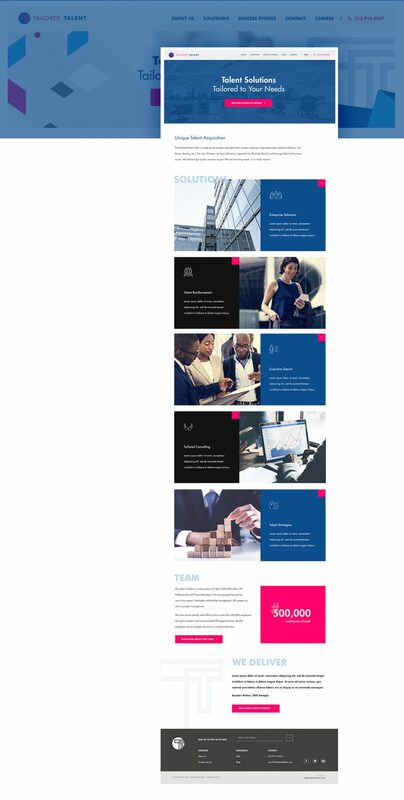 But the more complex a company’s services are, the more pages are necessary to properly present and explain those services. Therefore, they may need to be grouped in categories, or explained by case studies. The business might also need to explain and categorize the types of customers it works with. Other industry-specific pages often deliver the marketing message a business is trying to bring across. A Services section: this often includes more than 6 pages; sometimes they are grouped in categories. About Us section: the subpages may include staff, testimonials, and industry-specific pages. Our Clients: this section is other times named “Who we work with”, “Patients”, “For Parents”, “For Businesses” etc. 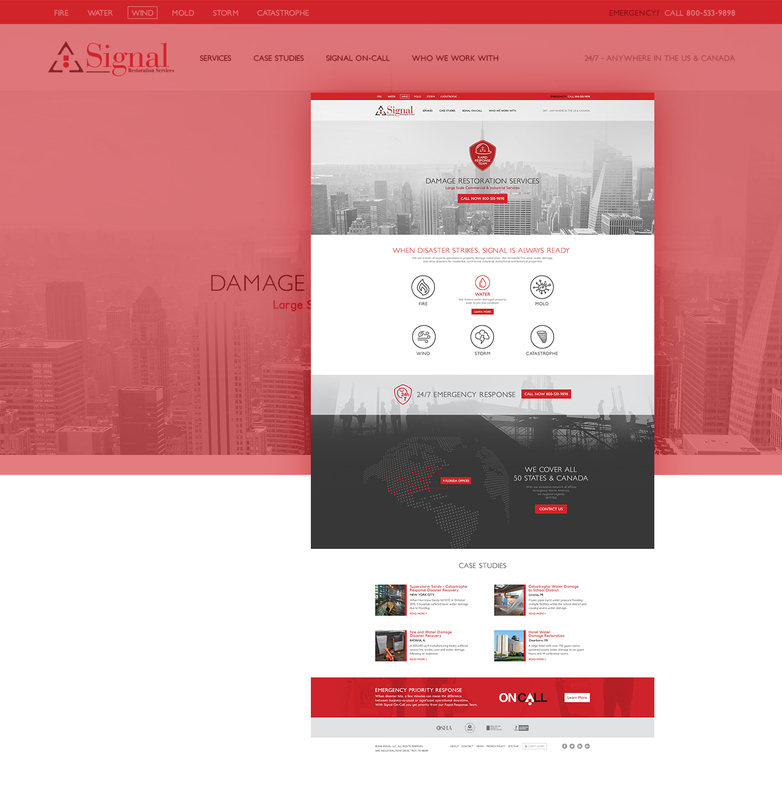 Signal Restoration Services, a property damage restoration company, hired us to redesign and rebuild their website in WordPress, back in 2016. We won a Silver Addy Award for the responsive website design work we did on Signal’s website. 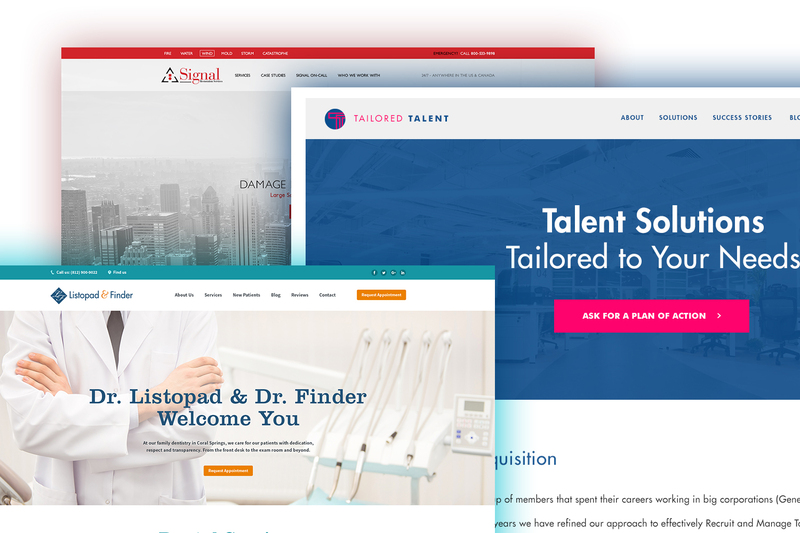 Tailored Talent, a talent search, staffing and HR solutions company with headquarters in Hamilton, Ohio, needed a new website. So we delivered a creative, well organized website that serves their needs and those of their prospects. 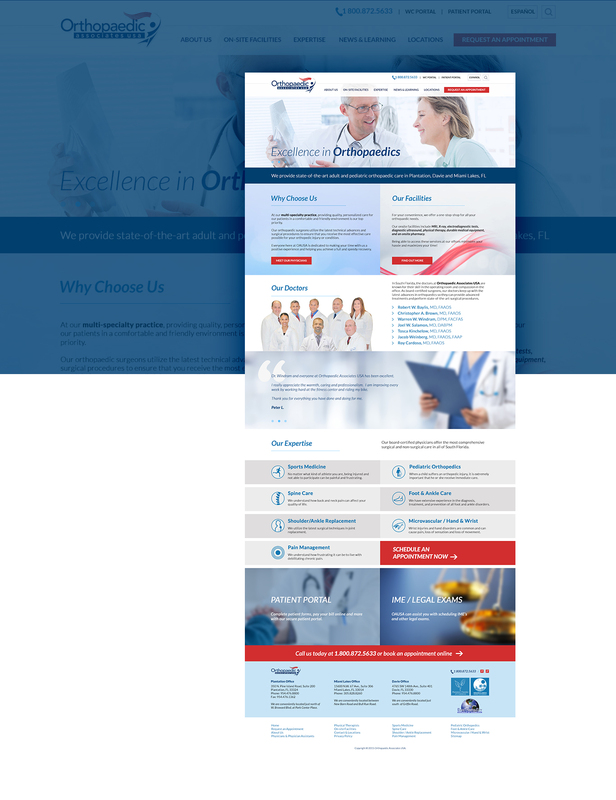 The Orthopedic Associates website offers a lot of information. We carefully organized the information to be easily navigable by any prospective patient in need of orthopedic services. The modular, tile-based layout is also responsive and adapts correctly to mobile devices. 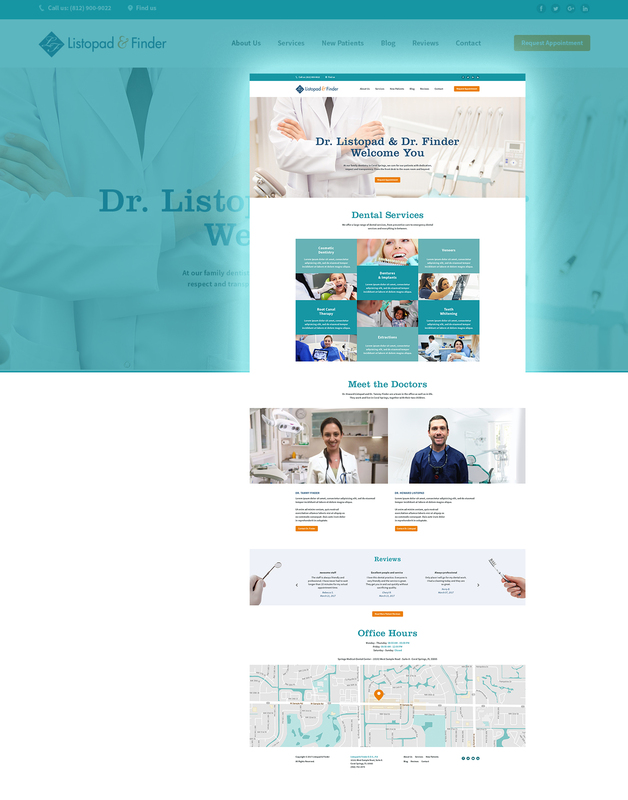 A family dental practice in Coral Springs, Florida, doctors Listopad & Finder needed a new web presence to market their services. A medium service website format was perfect for their needs. As expected, the largest section is Services. However beyond that, the rest of the pages are typical for any service website. 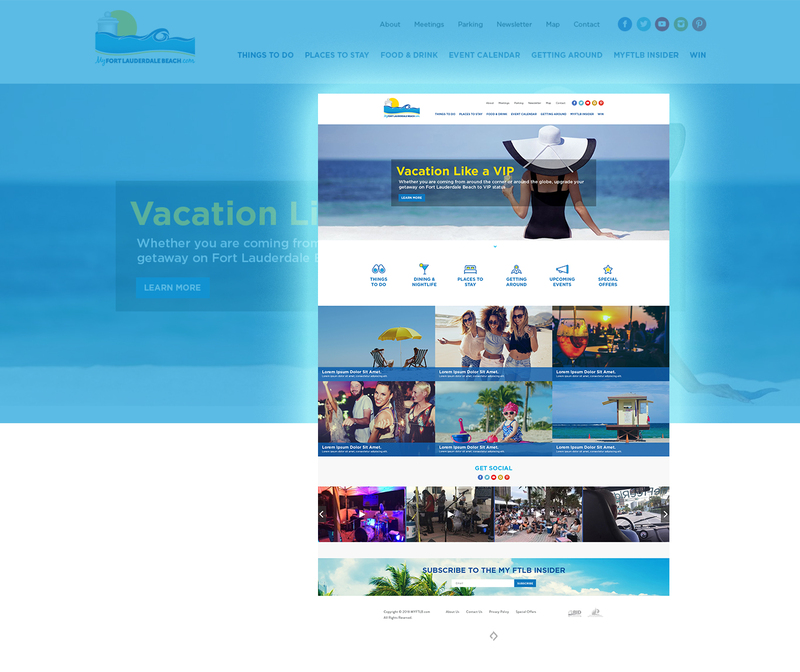 My Fort Lauderdale Beach is a web portal that aggregates all things of interest that happen on Fort Lauderdale Beach. From events to hotels and restaurants, it is all available on the website. 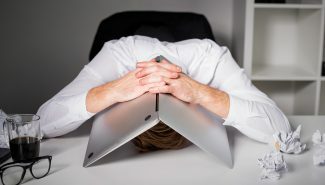 Need a Medium Service Website?